The term embossing is used to describe techniques that result in a raised design on a surface. Paper crafters use the expression to describe different techniques that create a design on the surface of paper or cardstock which is slightly raised, therefore creating a subtle yet effective design feature. There are many ways of achieving this effect, ranging from methods that require the use of other materials through to simple 'dry' techniques that raise the surface of the paper. Regardless of the technique used, the embossed effect is extremely popular and is relatively easy to achieve. The finished surface can be left as it is, or enhanced further by rubbing inks, chalks or other colorants into the surface to emphasize the design. The dry embossing technique creates a raised surface on the paper or cardstock by using a stencil and a special tool called an embossing stylus. The stencil is attached to the back of the paper and the stylus is used to gently push through the paper to create a design in relief on the front of the paper. This is a simple technique which is easy to adapt. Different looks can be achieved on different papers. Metal or brass stencils are ideal for this technique as the metal stencil has a sharp and clean edge which results in professional looking results. While not much in the way of special equipment is required for this technique, equipment such as a light box can make life easier and will help you to produce top quality results. For more information on this technique take a look at this informative article - How to Dry Emboss. Heat embossing is a technique much loved by rubber stampers. Embossing powders are added to the surface of an image which has been stamped with pigment or special embossing ink. When the powders are heated, they melt and form a glossy and hard surface. One of the exciting things about this technique is the range of special embossing powders that is available. Many different effects can be achieved using powders that add sparkle, a distressed look and more. Most pigment inks are fine for this technique and the only other essential item of equipment is a heat supply. A craft heat gun specially designed for this type of use is ideal to create great looking results. For more information on this technique take a look at this step by step guide - How to Heat Emboss. Embossing paste is a technique that uses a paste to create a raised surface on a piece of paper or cardstock. 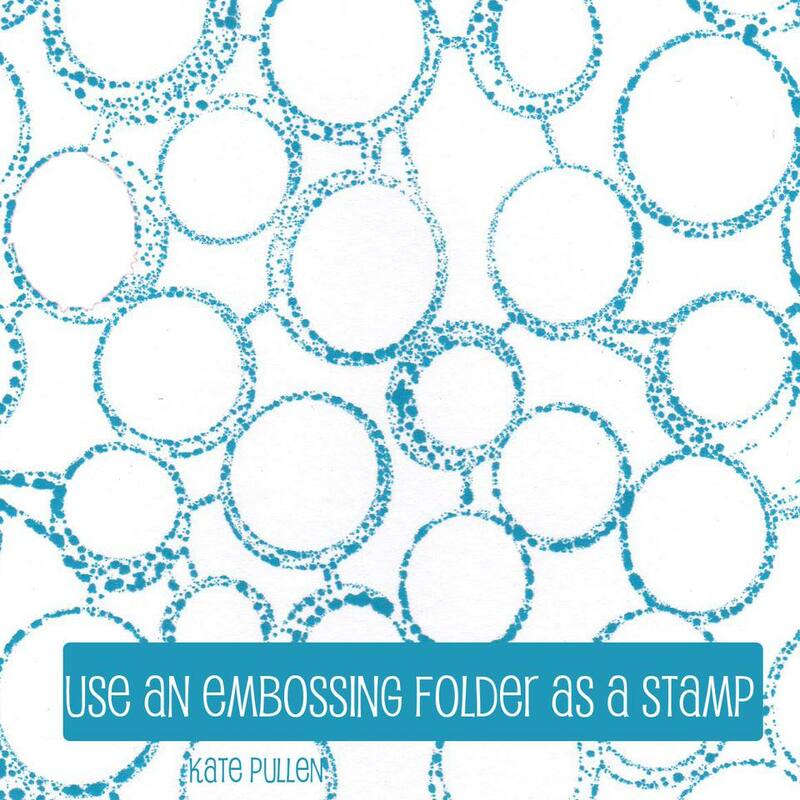 The embossing paste is carefully spread onto the paper using a stencil to create a design. This is then left to dry and the end result is a raised, durable design. The dried embossing paste can be colored using paints, pens, and pencils to create an interesting design. Embossing paste is available in different colors and the white and transparent embossing pastes can be colored using pigments and mica powders. There are other ways of forming a raised surface on paper or cardstock. One method that is fun to try is wet paper embossing. This technique entails pressing wet tissue paper over the raised design of a deeply etched rubber stamp. The stamp leaves an impressed image on the surface of the paper. For more information on this technique take a look at this photo tutorial - How to Wet Paper Emboss. Whichever method you use, embossing is a fun way to add a little extra dimension and texture to your next handmade card or scrapbooking project.